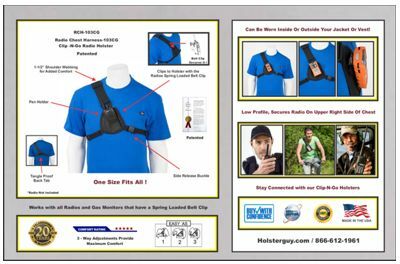 The RCH-103CG (Clip-N-Go) Radio Chest Harness is designed to be a low profile Two Way Radio / Gas Monitor carrying solution. 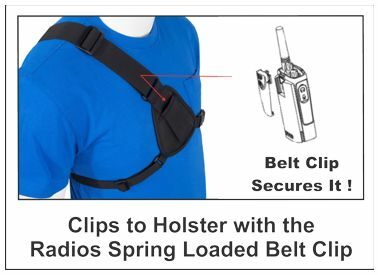 The device uses it's own belt clip to attach to the chest harness. 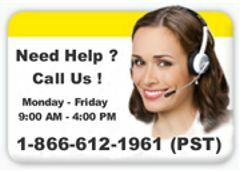 Holster has three torso adjustment tabs to provide maximum comfort. Creates a "Hands free" working environment and secures the device on the upper right side of your chest, also can be worn inside or outside most jackets and vests. The RCH-103CG uses the belt clip from the radio or monitor to attach to the chest harness. The rear tangle proof tab is designed to eliminate tangles and point the elastic torso strap in the direction of the front side release buckle making it easier putting it on and taking it off.